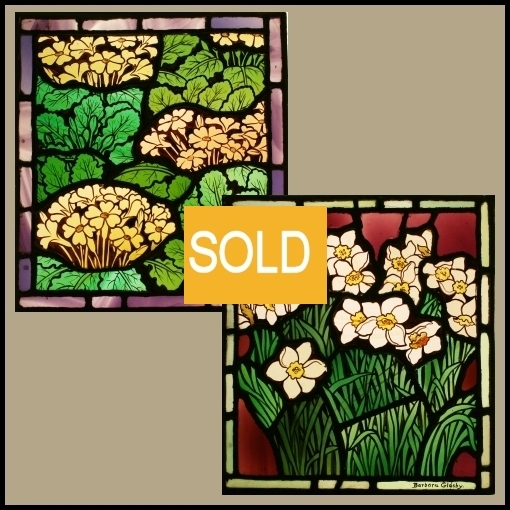 Two panels leaded with hand painted coloured glass, one depicting Yellow Primula and the other Daffodils, both with outer borders. 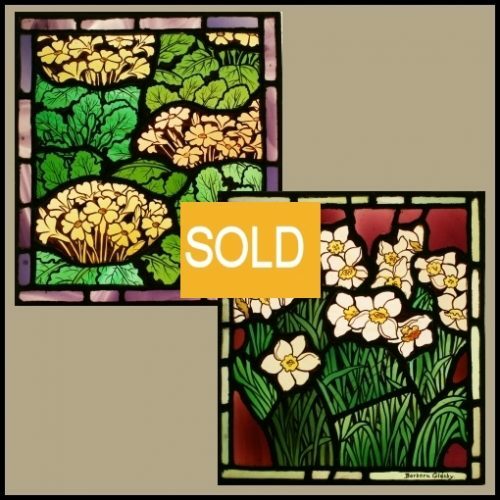 Daffodil panel is signed “Barbara Glasby”. 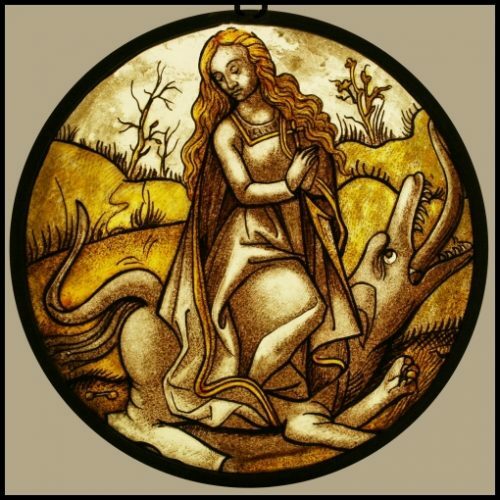 Both in excellent original condition. 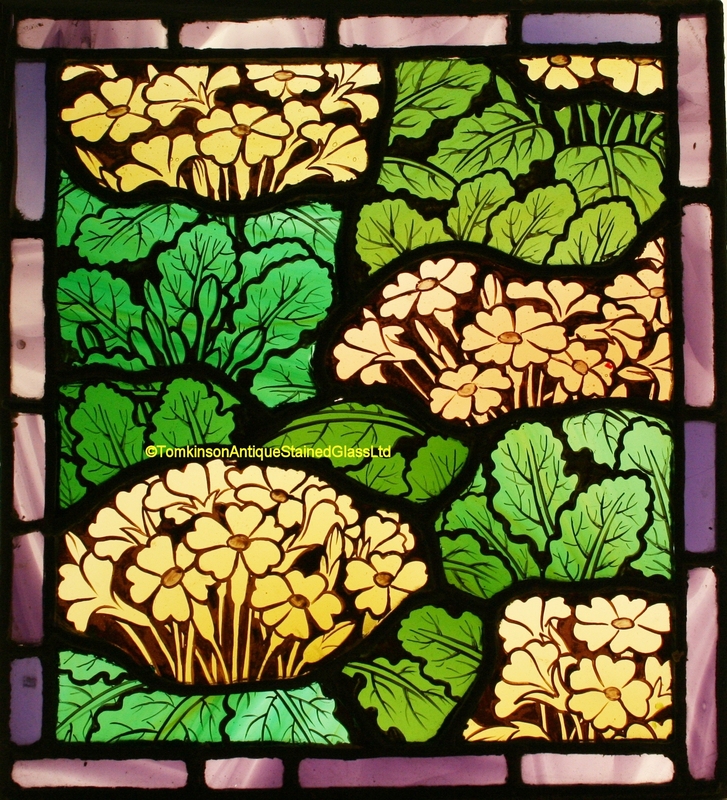 The panels are c1930, therefore are not antique and are believed to be by the daughter of William Glasby (1863- 1941). 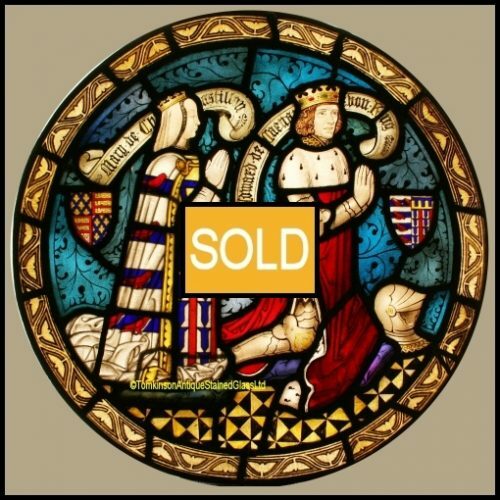 Chief glass painter for Powell & Son, later working for Henry Holiday and Morris & Co. 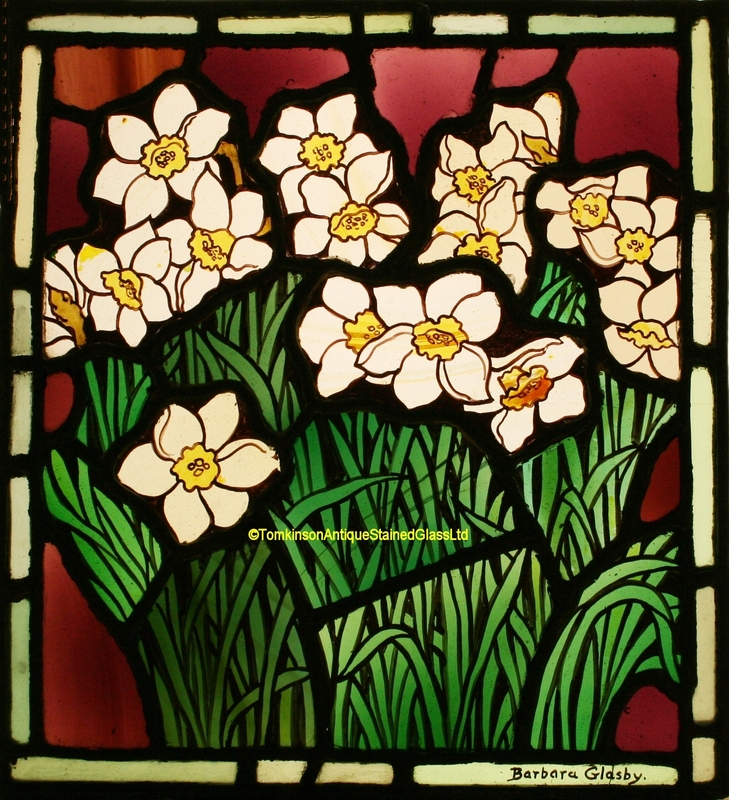 He started his own firm c1920 where his daughter Barbara Daisy Constance, born 1886, became assistant painter and eventually took control of the stained glass business.